Dean Kremer does not have any MLB stats for the season. Draft: 2016, Los Angeles Dodgers, 14th rd. Attended the University of Nevada; Las Vegas...Originally selected by the Los Angeles Dodgers in the 14th round of the 2016 First-Year Player Draft...Became the first Israeli drafted by a MLB team...Was the youngest player (20) on Team Israel's 2017 WBC roster. Led all of minor league baseball in strikeouts with 178 (114 - Class A-Advanced Rancho Cucamonga, 53 - Double-A Bowie, 11 - Double-A Tulsa)... Named a California League Mid-Season All-Star... Named the Texas League Pitcher of the Week on 7/8; 1-0, 0.00 ERA (7 IP), 11 K, 1 GS... Tossed his first career complete game and shutout in his only appearance for Double-A Tulsa on 7/5 vs. Midland... Recorded a career-high 11 strikeouts twice during the season (6/25 at Lake Elsinore and 7/5 vs. Midland); has four career double digit strikeout games... Made eight starts for Double-A Bowie after coming over from the Dodgers, and went 4-2 with a 2.58 ERA (13 ER/45.1 IP) and 53 strikeouts... Earned the win in his Baysox debut on 7/22 vs. Erie, working 6.0 innings, allowing one run on four hits with three walks and six strikeouts. April 4, 2019 RHP Dean Kremer assigned to Bowie Baysox from Aberdeen IronBirds. March 31, 2019 RHP Dean Kremer assigned to Aberdeen IronBirds from Bowie Baysox. 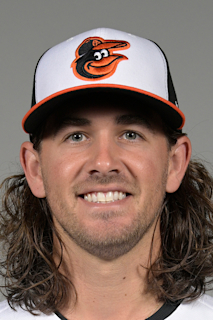 January 25, 2019 Baltimore Orioles invited non-roster RHP Dean Kremer to spring training. July 18, 2018 RHP Dean Kremer assigned to Bowie Baysox. July 5, 2018 RHP Dean Kremer assigned to Tulsa Drillers from Rancho Cucamonga Quakes. April 3, 2017 RHP Dean Kremer assigned to Rancho Cucamonga Quakes from Great Lakes Loons. March 17, 2017 RHP Dean Kremer assigned to Los Angeles Dodgers. August 11, 2016 RHP Dean Kremer assigned to Great Lakes Loons from Ogden Raptors. June 29, 2016 RHP Dean Kremer assigned to Ogden Raptors. June 20, 2016 RHP Dean Kremer assigned to AZL Dodgers. June 17, 2016 Los Angeles Dodgers signed RHP Dean Kremer.